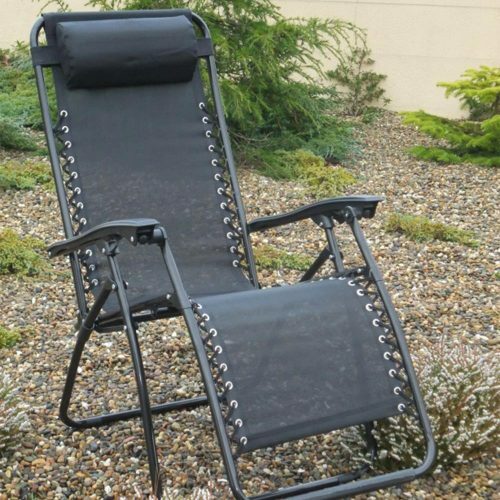 Fold away two position chair with black powder coated frame. 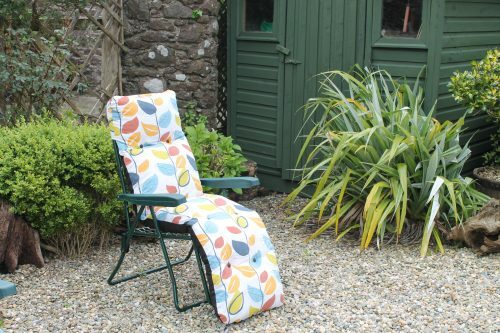 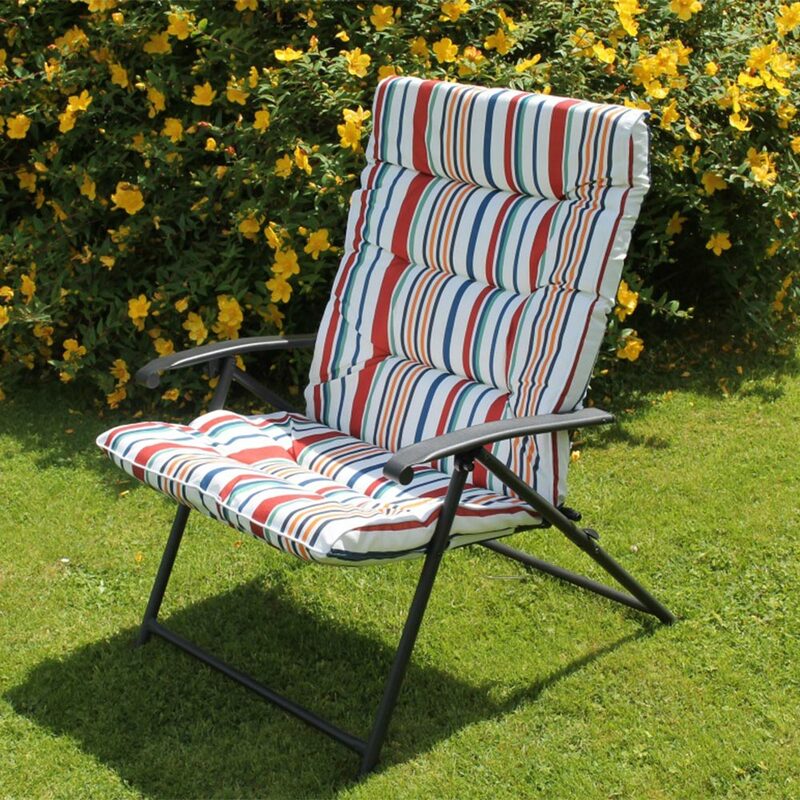 Stay cool with this colourful and comfortable padded chair with two adjustable positions. 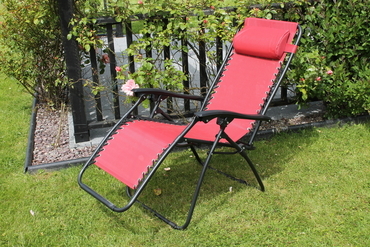 Folds away for easy storage. Spun polyester with 6cm cushion(which is 100% fire retardant and complies with all fire and safety regulations) sets off the black powder coated frame. 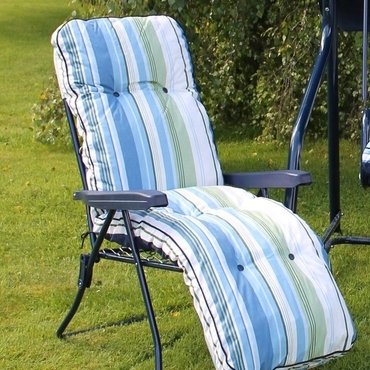 A great addition to any outdoor seating solution.